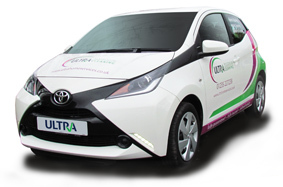 Ultra Laundry & Ironing service is available to all our regular domestic cleaning customers. For our regular cleaning customers we offer a Dry Cleaning, Laundry & Ironing service and we will pick up and deliver all your garments directly back to you clean, fresh, and ready to wear! We clean everything from a suit to the most delicate of dresses and successfully remove the hardest stains without compromising the quality of the fabric of your garment. All garments are hand finished with complete care taken throughout the process, using only the best detergents and modern equipment giving you every confidence that your garments will be returned to you in the best possible condition. We take pride in our specialist knowledge regarding cleaning of suede, leather, pigskin and sheepskin. We take all the hassle out of your ironing by collecting your garments and taking them to our ironing facility where each item is carefully ironed and finished by hand. The ironing service can be anything from just 5pcs to 50pcs ...and more! We will collect your washing, clean the garments using only the best washing detergents and softeners know in the industry and deliver your washing fresh, ironed and folded. We always aim to produce only tailoring to the highest quality and ultimate fit. We can repair your heels, restore stitching, take in or expand the width of your boots or replace damaged soles. Sleep tight don’t let the bed bugs bite! We use special additions in the process to assist a hygienic effect. 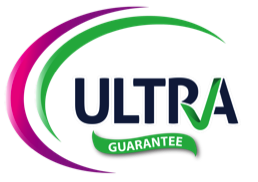 All bedding is ironed to a high standard and delivered back into your home ready for your Ultra cleaners to change your bedding when you want them to! Laundry (Wash & Iron) Enter description here. Executive Shirt Service Enter description here. Alterations & Repairs Enter description here. Shoe Repairs Enter description here.